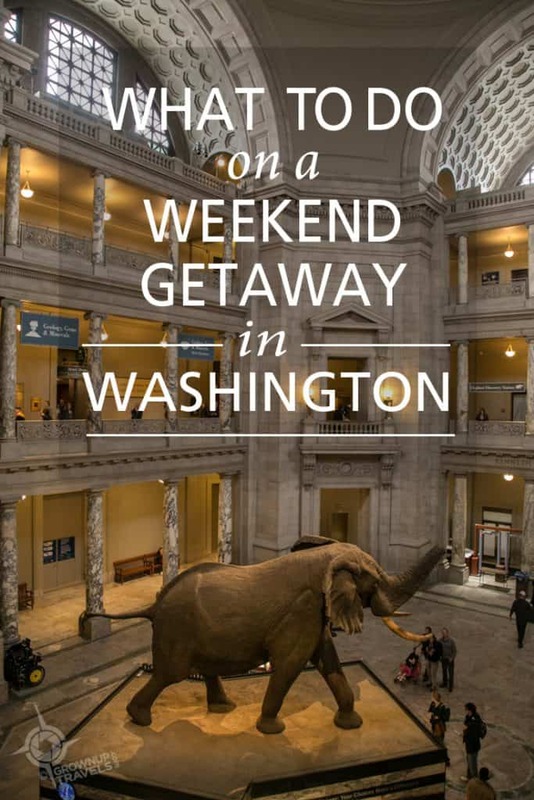 What to Do on a Weekend Getaway to Washington D.C. Okay, let’s start by addressing the elephant in the room: the current ‘resident President’ is definitely not a reason why Henk and I would recommend a weekend getaway to Washington, D.C. 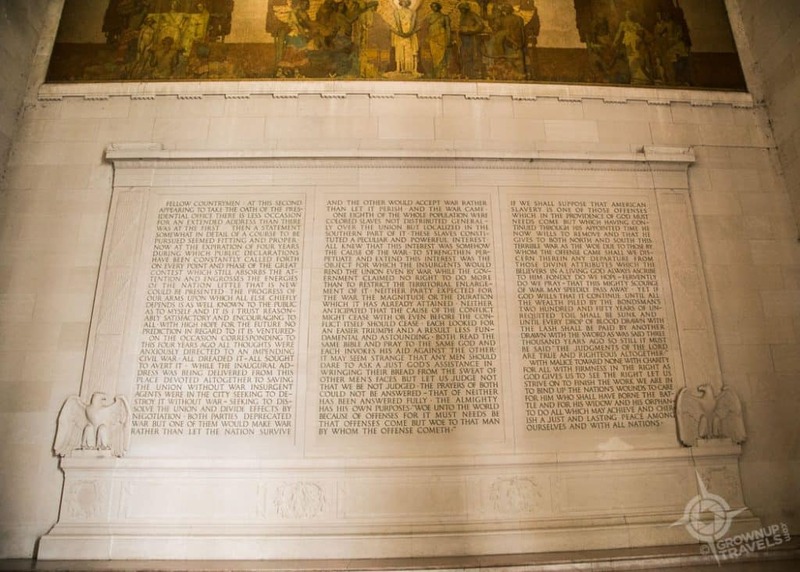 However, the U.S. capital is a place that has always piqued my curiosity, and when we had a chance to visit after our recent trip to Northern Virginia, we took advantage of the opportunity. And I can honestly say that what we saw in the city more than made up for ‘who’ we (thankfully) didn’t! 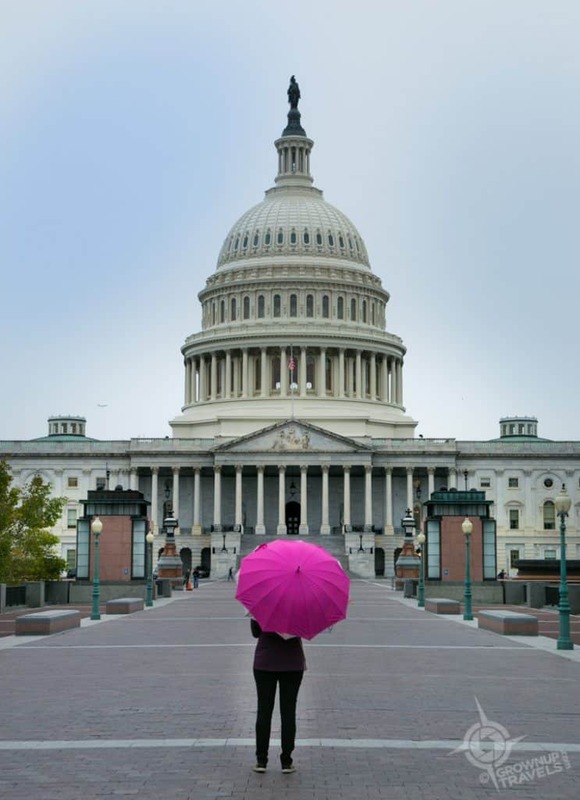 Here’s what we would recommend you see and do if you have a couple of days to visit Washington. One of the best things about Washington DC is that the vast majority of their National Mall museums are absolutely free to visit! 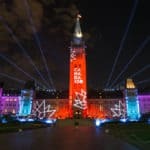 And they have some spectacular ones, starting with the National Museum of Natural History that houses over 145 million artefacts and specimens that include everything from the Hope Diamond to a rare twin-tusked narwhal skull. 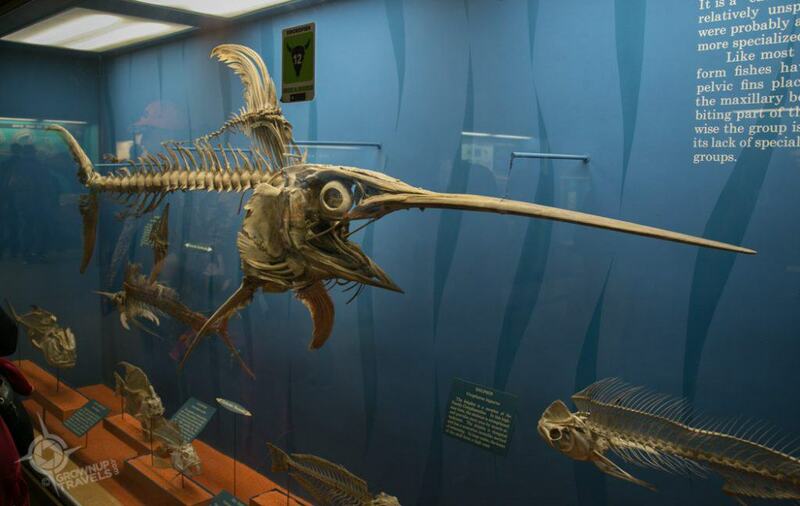 This swordfish skeleton looks prehistoric. 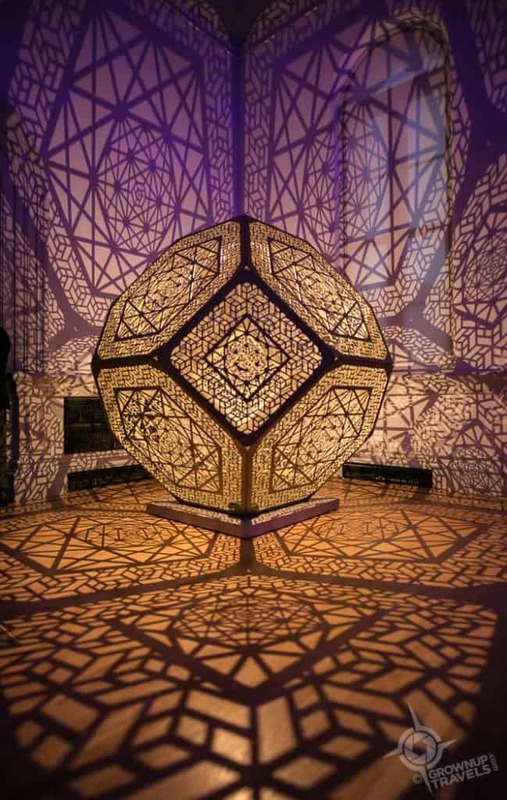 If you don’t have a lot of time, one of the best places to start is the Museum’s Objects of Wonder collection, a curated exhibit that showcases a cross-section of the Museum’s most interesting pieces. 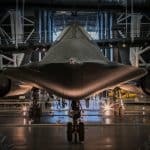 Here you’ll find everything from ‘Martha’, the last passenger pigeon, to the ‘Blue Flame’, a massive 250-pound lapis lazuli stone from Afghanistan. There’s also a Canadian link here, too, with the Tsimshian House Front, a complete decorative facade from an indigenous house in British Columbia. 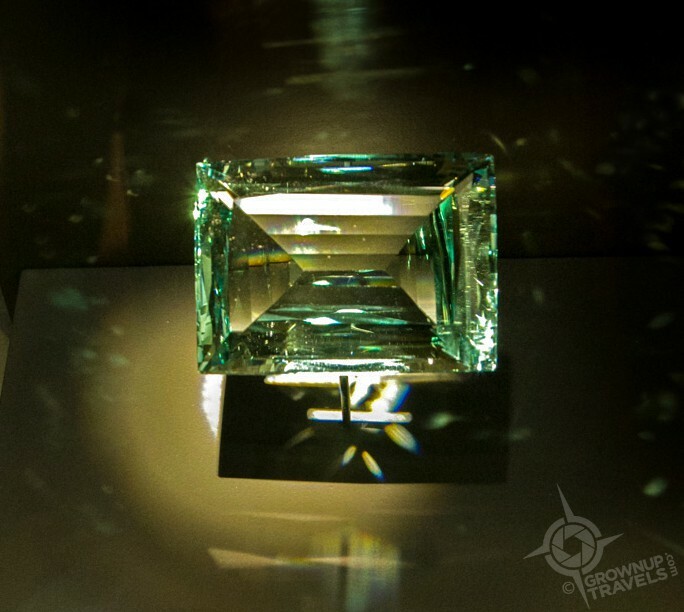 If you love a little bling, be sure to check out the Hall of Geology, Gems and Minerals. 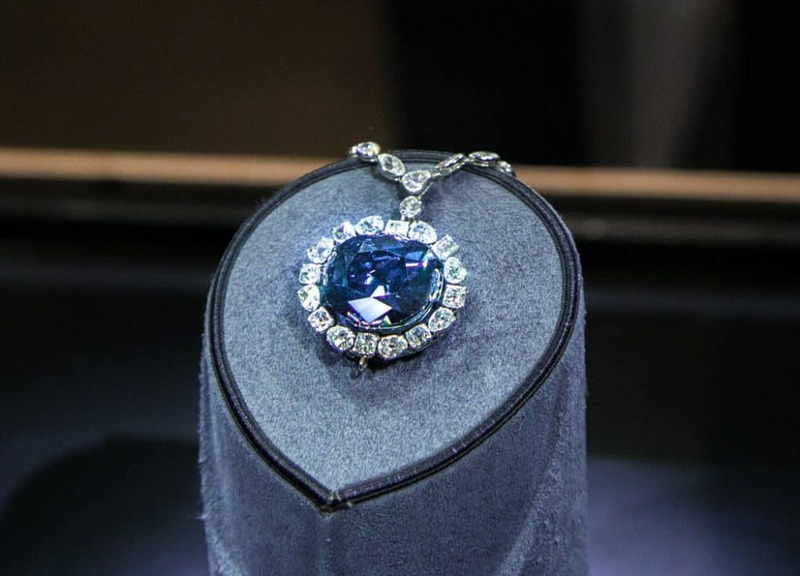 It’s here that you can see the fabled Hope Diamond, a 45.52 carat rare blue diamond that was once owned by King Louis XIV. There are other famous and beautiful stones here as well, including a set of earrings worn by Marie Antoinette, and other brilliantly coloured gems like this 1000 carat aquamarine from Brazil. There are fascinating creatures from the natural world, too. Don’t miss the new Narwhal exhibit, which includes a rare example of twin tusks from a female (the spiral tusk is actually a tooth and is almost always a single one on the left side). These rare whales are likely responsible for inspiring Unicorn legends, and the actual animals are just as fascinating. 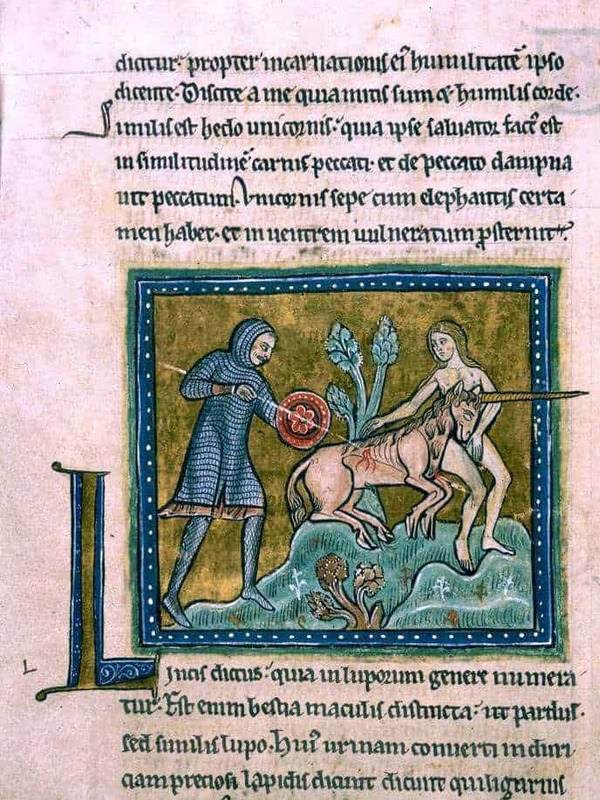 Unicorns were fabled creatures that may have been inspired by narwhal tusks found on shore. 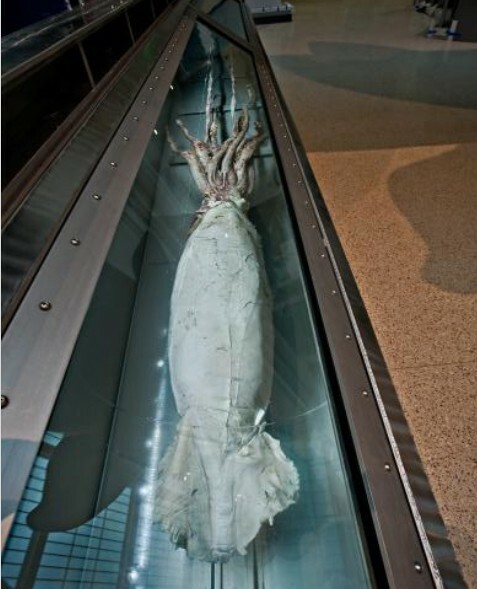 For all the Jules Verne fans out there, the Sant Ocean Hall boasts its own ‘Kraken’, an actual giant squid. This is one of only a few very fragile specimens discovered worldwide. Carefully preserved in fluid it is displayed to its full length of almost 36 feet. 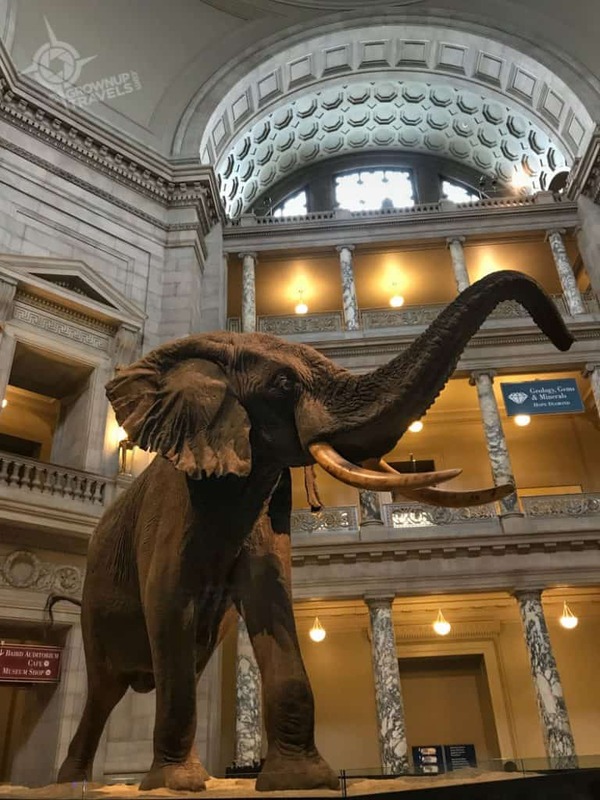 One of the most impressive exhibits at the Museum of Natural History is the Fénykovi Elephant, a 14-foot tall African elephant that has been installed in the Museum’s 3-story tall Rotunda since 1959. Despite a tragic end at the hands of the Hungarian big game hunter after whom the specimen was named, ‘Henry’ as he has been nicknamed, has become a treasured centrepiece of the Museum. 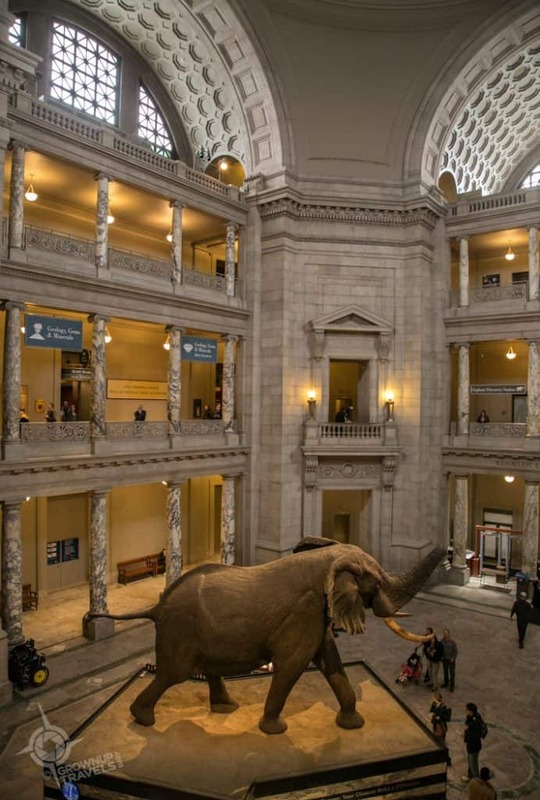 TIP: The Museum of Natural History is one of the most popular museums in Washington, so get there early, especially if you are visiting on a weekend. Even then, there will likely be a line but it does move quickly. You can’t go to Washington and not see the White House. But be prepared: you’ll likely only get to see it from the outside and from behind fences, especially if you are a foreign visitor and especially these days. 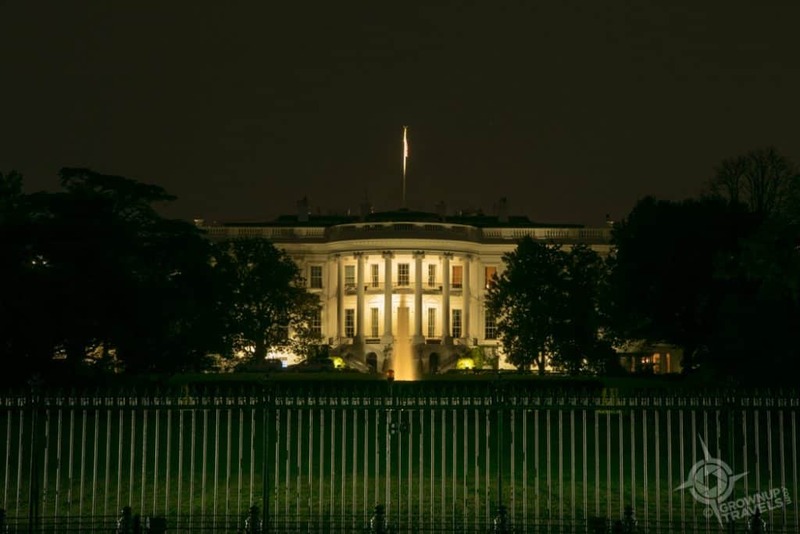 TIP: U.S. Citizens can request tours through their government representative a minimum of 21 days in advance, but for the rest of us the doors to this House are closed at present. Henk and I arrived in Washington on a Friday evening and since we were staying very close to the White House, we decided to walk over to check it out. Although we were barricaded from even getting close to the fences surrounding it, we did get a few photos of both the north and south sides of the White House. One surprising object that we did find when we walked to the south side was the Zero Milestone monument, a short pillar placed directly opposite the White House on the south side of East Street. The Zero Milestone from which all road distances in the U.S. were to have been measured. 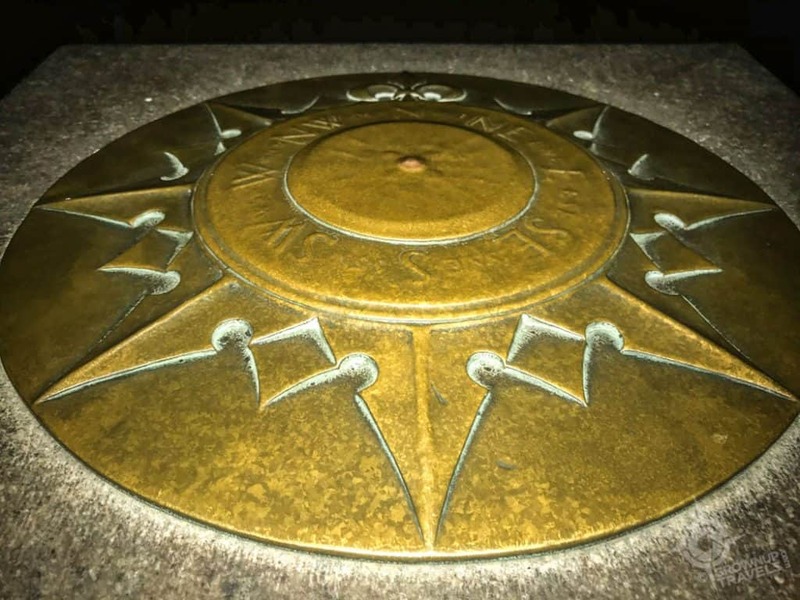 The Zero Milestone is actually a stone block on top of which is placed a bronze 16-point compass marker. Inspired by Rome’s fabled Golden Milestone from which all roads in the Empire originated (hence the expression ‘all roads lead to Rome’), the marker was placed here in 1920 and was meant to be the point from which all U.S. road distances were measured. At present, however, only roads in the Washington D.C. area have distances measured from it. The White House may get all the airtime, but to be honest, Henk and I were more blown away by the architectural extravagance of the Eisenhower Executive Office Building beside it. 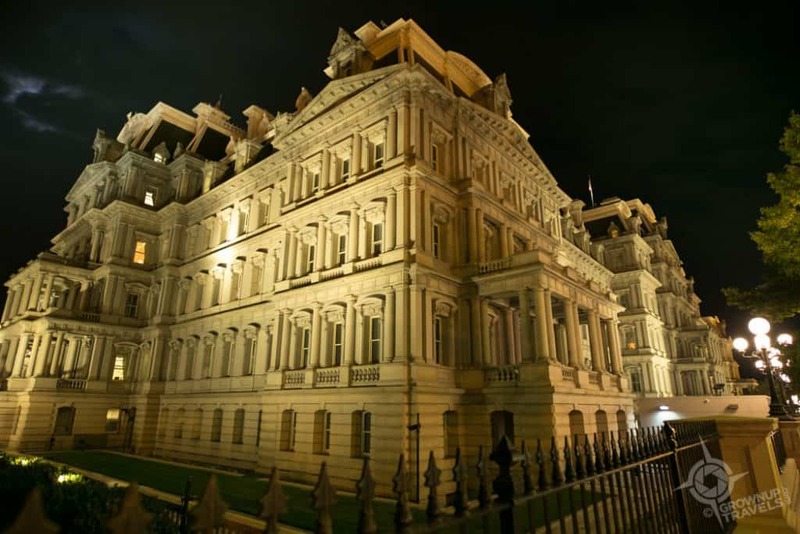 TIP: It’s impossible to miss the Eisenhower building if you are anywhere near the White House, as it dominates the corner of 17th Street and Pennsylvania Avenue. 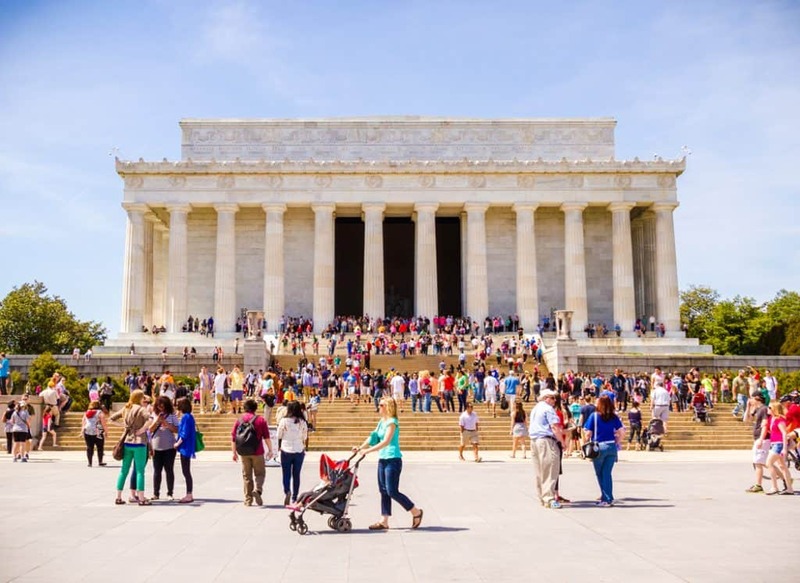 Architecturally, the Lincoln Memorial could almost be a modern-day Parthenon with its neoclassical style and huge scale. 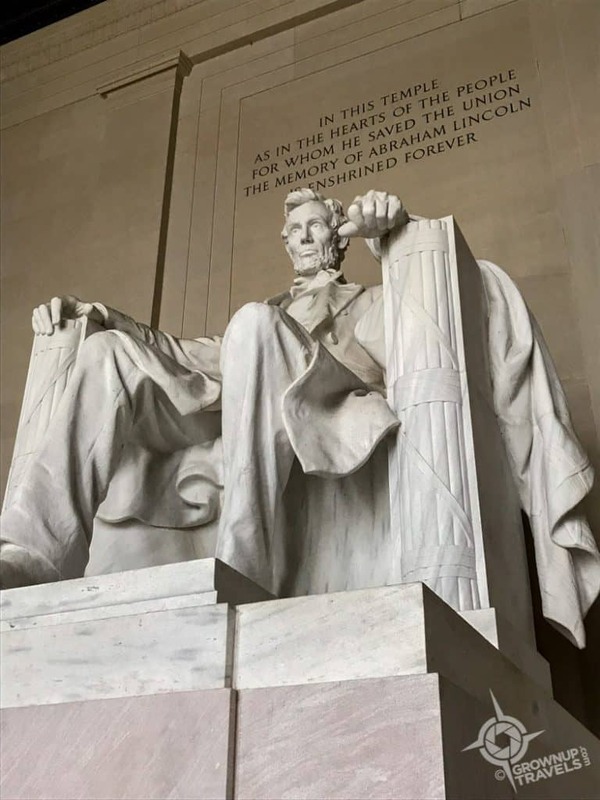 Constructed using materials sourced from states all around the country (to reflect U.S. unification) the stone edifice houses an enormous 19-foot statue of a seated Abraham Lincoln. No picture can really do justice to the size of this statue, as if ‘he’ were to stand, Lincoln would be close to 28 feet tall. 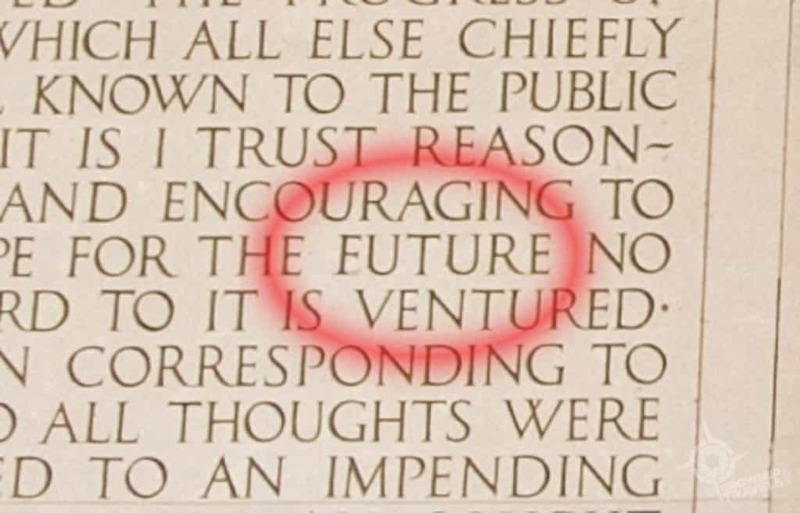 Flanking the statue are two porticos, on the walls of which are inscribed two of Lincoln’s most famous speeches – a testament to what an eloquent orator and visionary Lincoln was. To be honest, as impressive as the Lincoln Memorial was, I was a little taken aback by the references to ‘temple’ in the structure, and the air of worship that went with the place. After all, this was supposed to be honouring a man – a great man, yes – but infused with this degree of reverence, I half expected to find a gilt statue of a deity inside. Koren War Veterans Memorial in Washington DC. 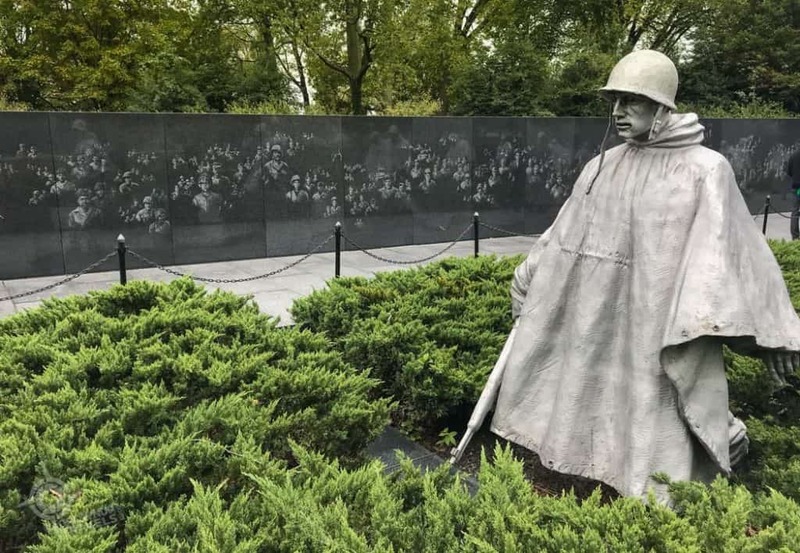 Leaving the Lincoln Memorial, Henk and I stopped by to visit the Korean War Veterans Memorial, a modern and evocative installation of 19 stainless steel statues of soldiers representing a squad on patrol. Alongside these statues ‘slogging through the bush’ is a honed stone wall with ‘sandblasted’ photos of more troops etched into the stone. 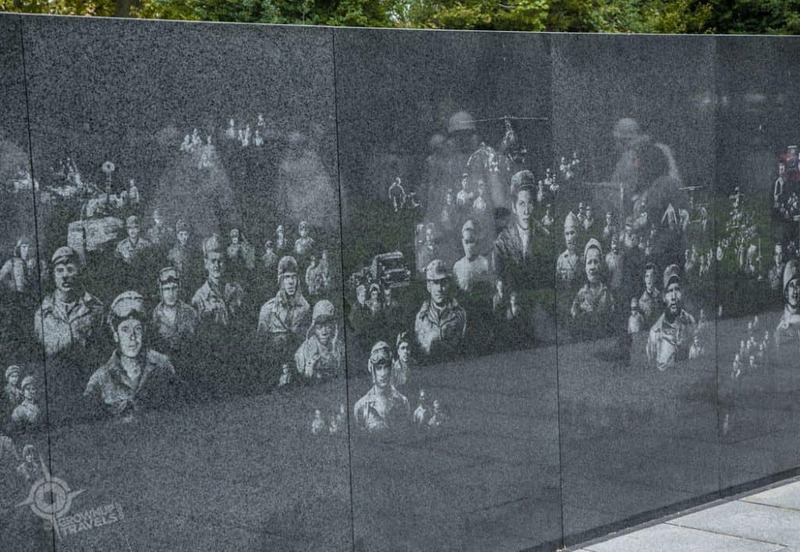 When the statues of the soldiers are reflected in this wall, the number appears to double to become 38, symbolically referencing the 38th parallel, which divides North and South Korea to this day. Beautifully designed and sensitively executed, I was really impressed by this particular memorial. 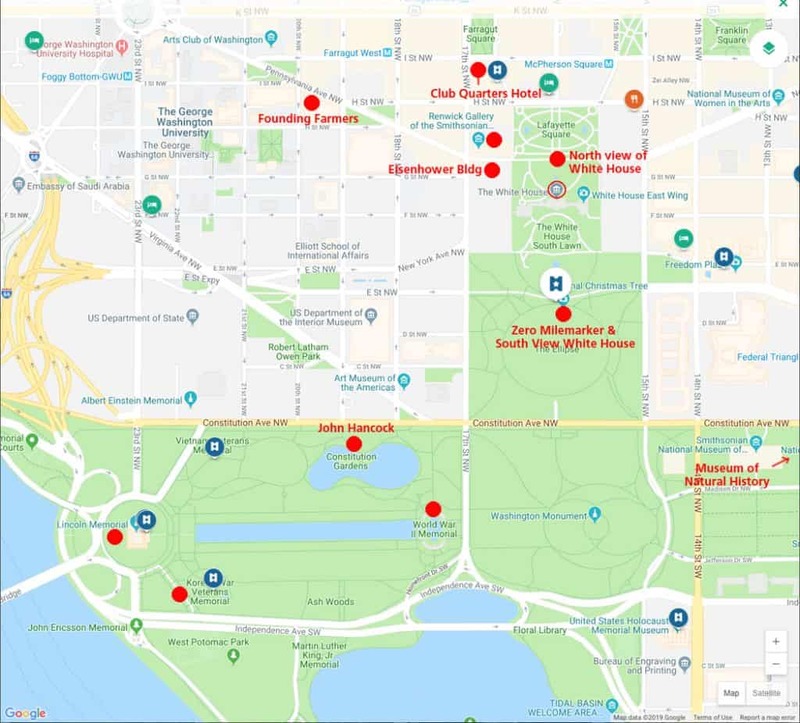 The National WWII Memorial is a very different installation, with a much more grandiose oval footprint that spans the width of the National Mall’s reflecting pool and encircles a large fountain. 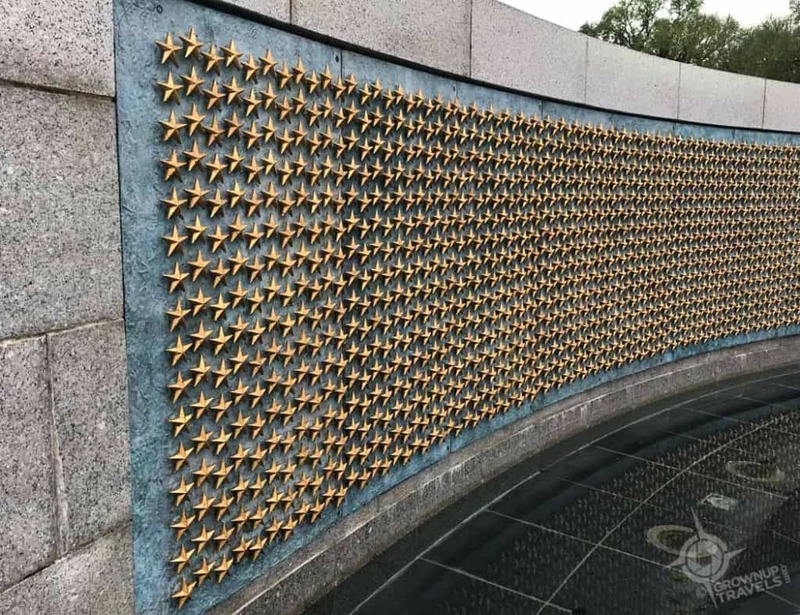 What I found more impactful than its pillars and bronze relief scenes of the war were the 4,048 gold stars on the Freedom Wall. Each star represents 100 Americans lost in the fighting, a staggering number even when represented at this 100-to-1 ratio. Each star represents 100 American soldiers who died. There are 4,048 stars. Strolling along the National Mall, Henk and I were walking through the Constitution Gardens to try to get a photo of the Washington Monument when we came across another interesting installation: the names and signatures of the 56 men who signed the Declaration of Independence. 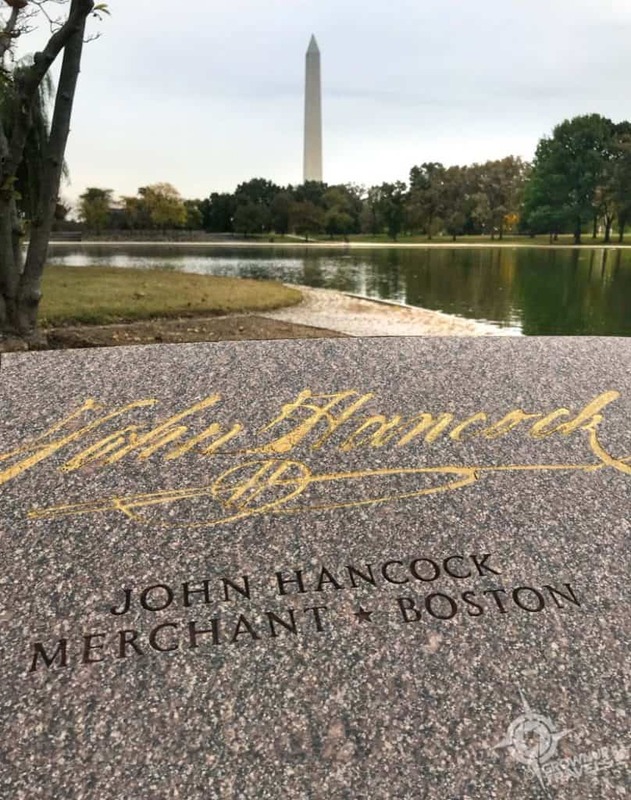 And even though we aren’t American, the expression about signing your ‘John Hancock’ is one we use all the time, so we couldn’t resist taking a photo of this famous signature. The day wasn’t great for photography, but we couldn’t resist this one! 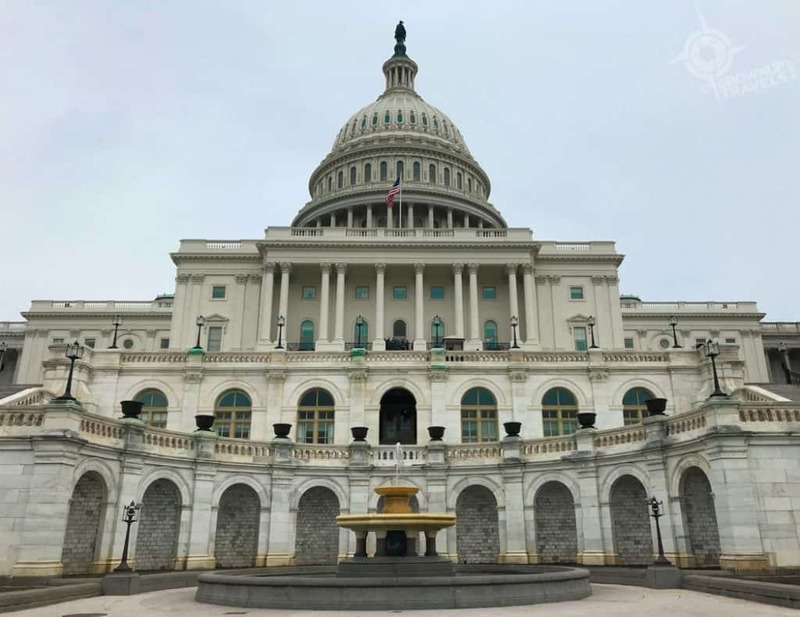 The Capitol building is one of the most iconic landmarks in Washington – and the U.S. – and definitely worth visiting, even if all you do is admire it from the outside. But if you do go inside, there are guided tours you can take and some other self-guided exhibits that show how the city of Washington has changed over the decades. You can also learn how the impressive Dome was constructed: I was shocked to learn that it is actually constructed of cast iron! 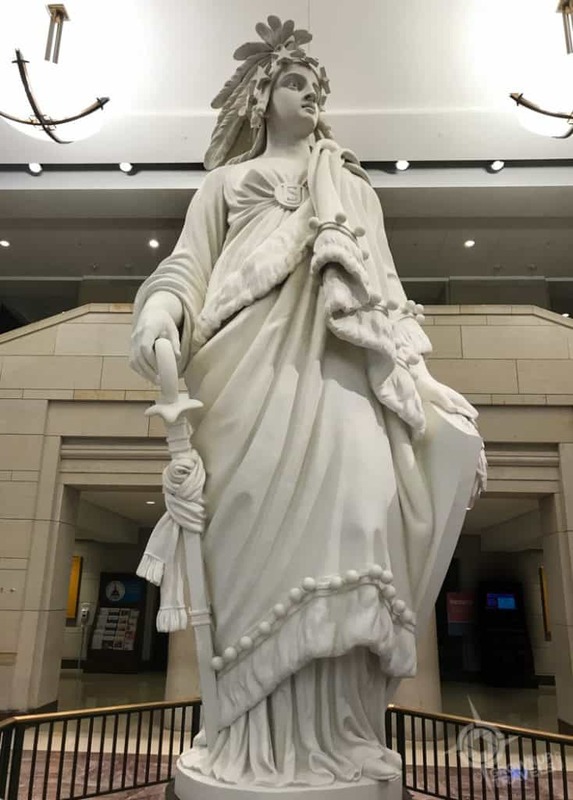 The main Exhibition Hall inside the Capitol Building also houses the plaster model of the 19-foot tall Statue of Freedom that was used to cast the bronze version that sits outside on top of that famous Dome. One interesting detail that you can see here is the brooch that gathers her dress which has the initials US (for United States). 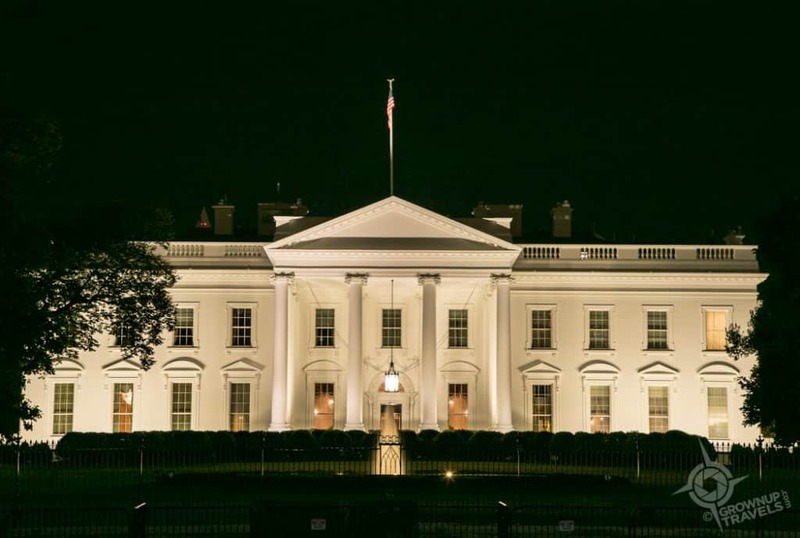 Fun Fact: The Capitol Building may be the home of the US Senate and Congress, but many people actually confuse it with the actual ‘home’ of the sitting President, the White House. If all of these super-sized monuments and memorials are leaving you feeling a little overwhelmed and under-sized, head to Georgetown for a more relaxed, human-scaled part of Washington. 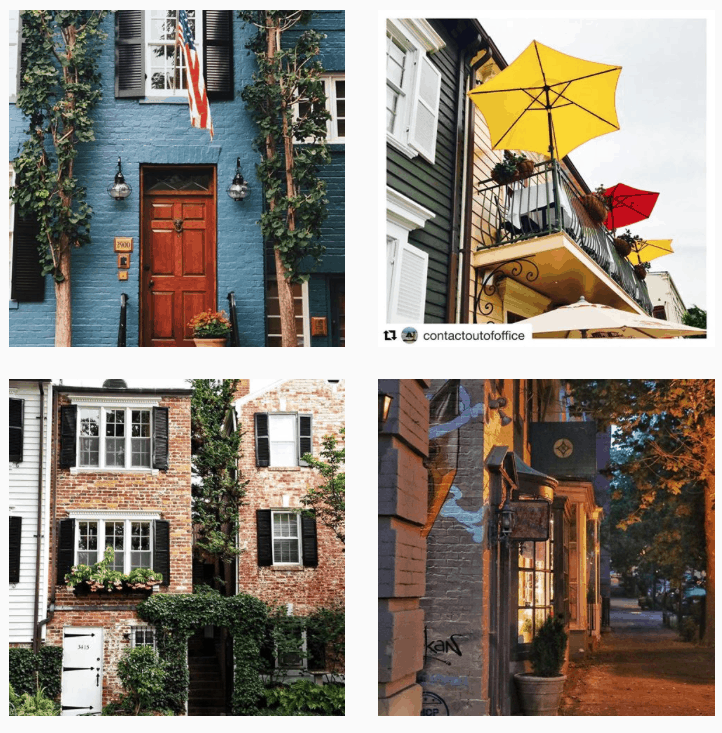 One of the most popular and oldest residential neighbourhoods in the city, Georgetown has the kind of tree-lined cobblestoned streets and 18th and 19th century homes that make architecture and history lovers drool. Shoppers will love strolling M Street near Wisconsin Avenue where you’ll find all kinds of boutiques, cafes and restaurants, and since this is close to the Georgetown University campus, there’s always a lot of activity on the streets. Washington and Georgetown in particular is known for its ghost tours, and Henk and I almost booked one, but the weather turned and the forecast called for a night of pouring rain. 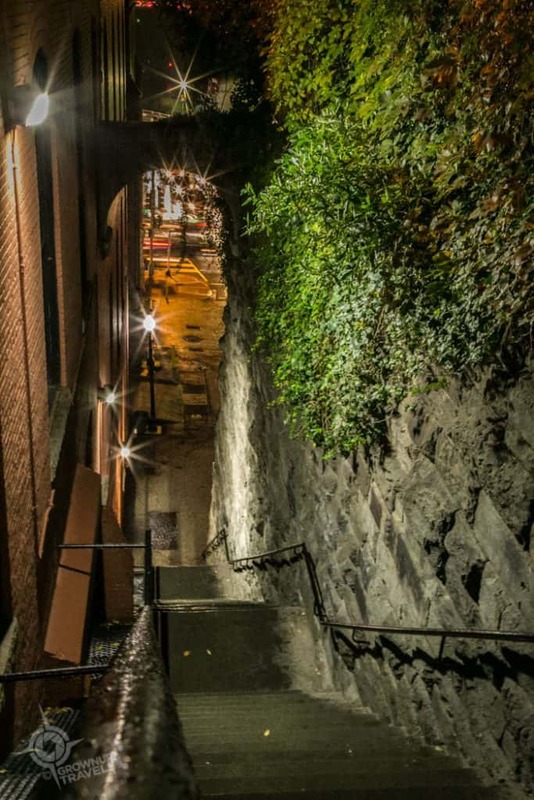 Rather than abandon our spooky plan altogether, we opted instead to check out one of the more modern ‘horror’ sites in Georgetown: the ‘Exorcist Steps’. This steep stone staircase is tucked into a narrow space between a gas station lot and a warehouse close to Francis Scott Key Memorial Bridge, and connects Prospect Street above to Canal Road below. A popular shortcut for students to use during the day, at night the stairs take on a more sinister aspect, as this was the movie location where one of the most climactic scenes from The Exorcist was filmed: Father Damien throws himself out a window and falls to his death down the stairs (the stairs were padded for the stuntman who did the actual tumbling). Georgetown: If you’re in Georgetown, definitely stop into J. Paul’s, a self-described ‘quintessentially American Dining Saloon’. 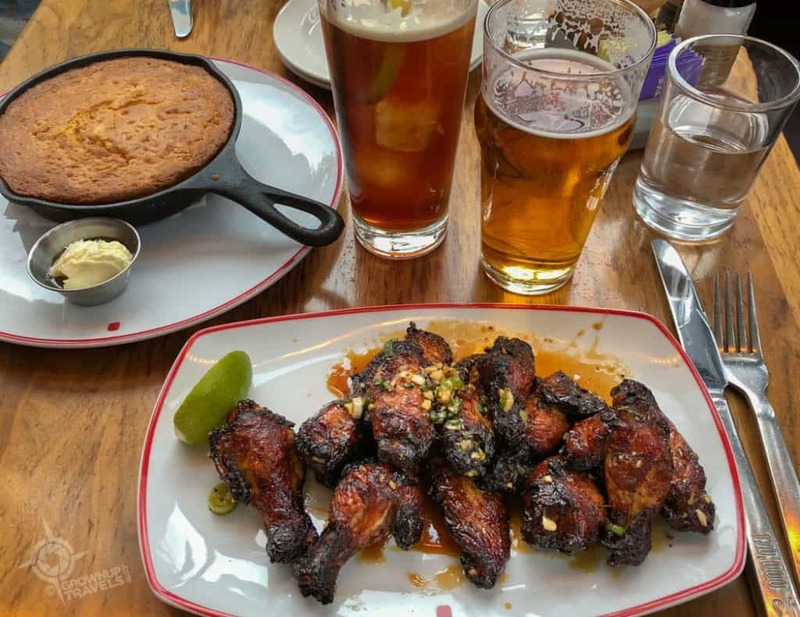 What this means for diners is an affordable menu filled with great burgers, ribs, comfort food and pub fare, as well as signature craft brews to wash it all down. 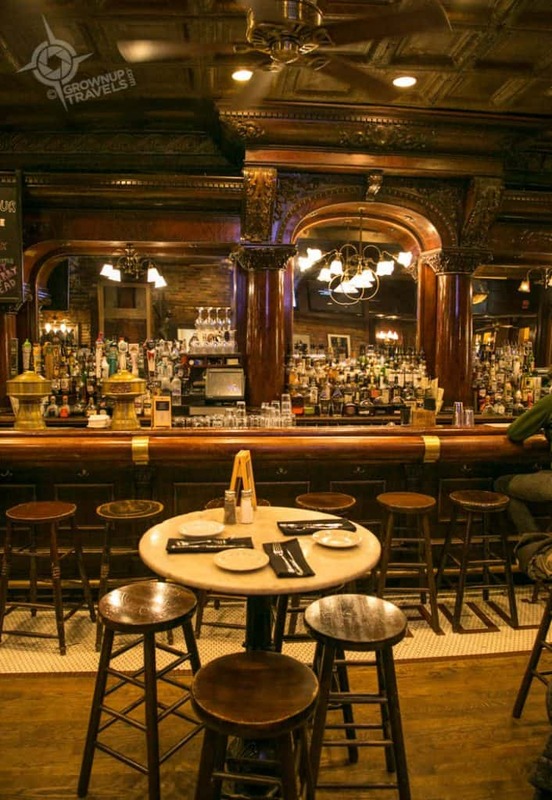 The historic building is over 100 years old, the ambience is all dark wood and coffered ceilings, and the iconic bar came from an establishment in the Chicago stockyards that Al Capone was rumoured to frequent. Near the Whitehouse: Three blocks west of the White House is Founding Farmers, an award-winning farm-to-table restaurant that is owned by a collective of 40,000+ farmers who also supply the food for the kitchens. 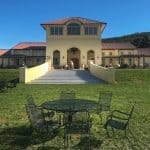 The food here is made from scratch, as are the signature drinks which come from their own distillery. Club Quarters is at the centre/top of this map. Red dots indicate some of the sites we visited. Henk and I wanted to be right downtown within walking distance of the White House, so we chose Club Quarters, which delivered on location and then some. Functional if not fanciful, our room was a decent size, and relatively affordable (standard rooms range from $120 – $240 U.S. depending on the season). There was a metro stop practically at the front door, and a parking garage around the corner where we could leave the car (discounted rate with the hotel booking). For breakfast options there was a restaurant (Cafe Soleil) in the same building, (service was slow, however), but across the street was a Pain Quotidien bakery/cafe which Henk and I preferred. A popular chain known for its communal tables and home made breads, they are also very patient if you want to linger over your latte! 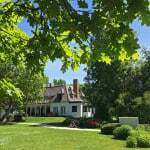 Other Accommodation Options: Why not stay in Alexandria, Virginia? Yes it sounds like you are in another state (because you are), but this is literally just across the bridge from Washington. At least 20% cheaper than D.C. when it comes to their hotel rates, Alexandria offers direct access to the city via metro, so you can leave the car behind while you tour Washington’s sites, and return to stay in the historic town of Alexandria, which is absolutely charming. We lived in Washington when my husband was in school and I’ve been itching to go back and visit. Thanks for the great list of suggestions, and mapping it all out. 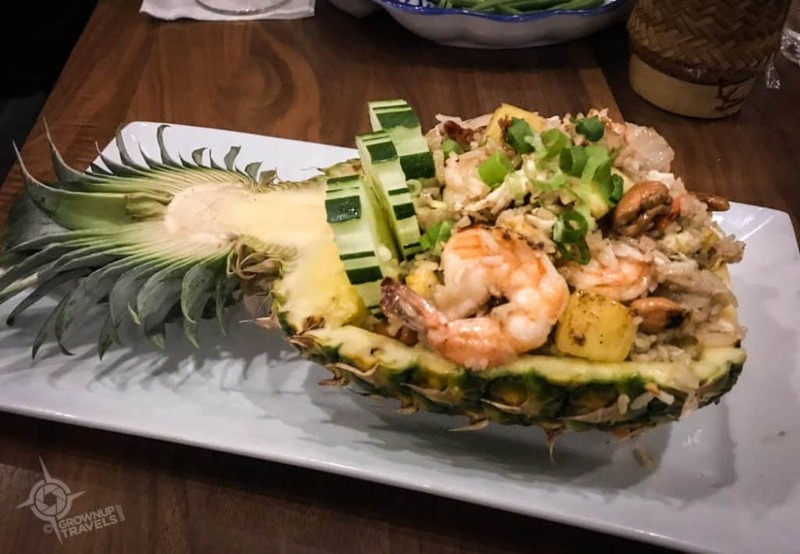 I will definitely tuck this away for when we get back. 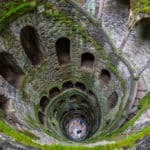 We were so hand to mouth when we lived there, I missed many of these great attractions. We missed some attractions ourselves, too, Alison. (like the Masonic temple which looked a little strange and would have been fun to see, but isn’t open on weekends.) And I would have liked to see more of Georgetown…oh well, next time! There seems to be a museum for just about everything, Karen, but we only had a couple of days so we had to prioritize. And the best thing, they’re free!!! I wish we had that kind of incentive to visit museums in our own capital. You certainly covered a lot of territory in a weekend! I really enjoyed touring Washington DC with you. It brought back so many great memories of my times there when I visited for business and pleasure. We did try to see as much as possible, Marilyn! I only wish the weather had been a little nicer for better skies in our photos. Oh well, another trip! 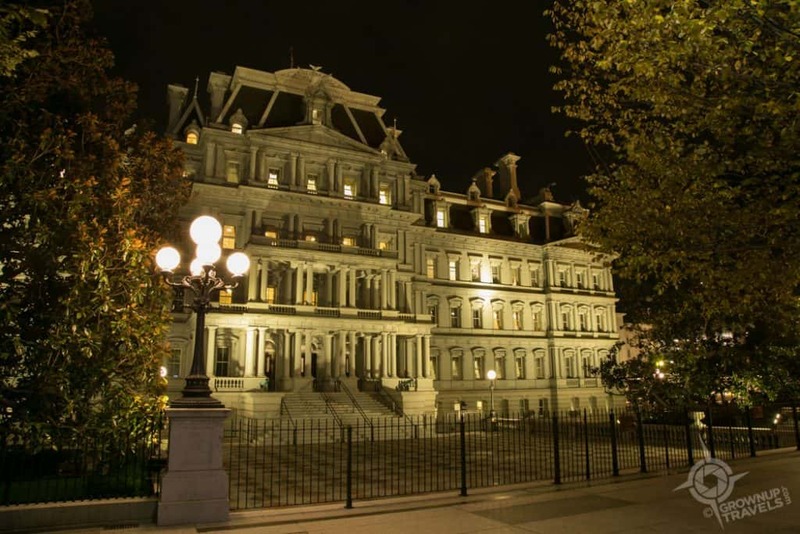 What a fantastic post on Washington, DC, Jane! I’ve not yet been there, but you’ve given me many amazing reasons to visit. 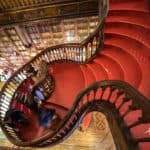 The Smithsonian would be on top of my list! If you do go, there’s also the Masonic Temple, which is actually open to the public most days. 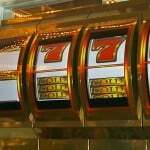 I’ve always wanted to get inside one of those places! Washington, DC is such a tourist haven. 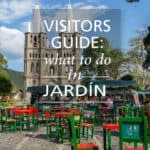 It’s filled with so many great sites and sights for all ages. Your list encomapasses many of the best. Thanks for sharing. 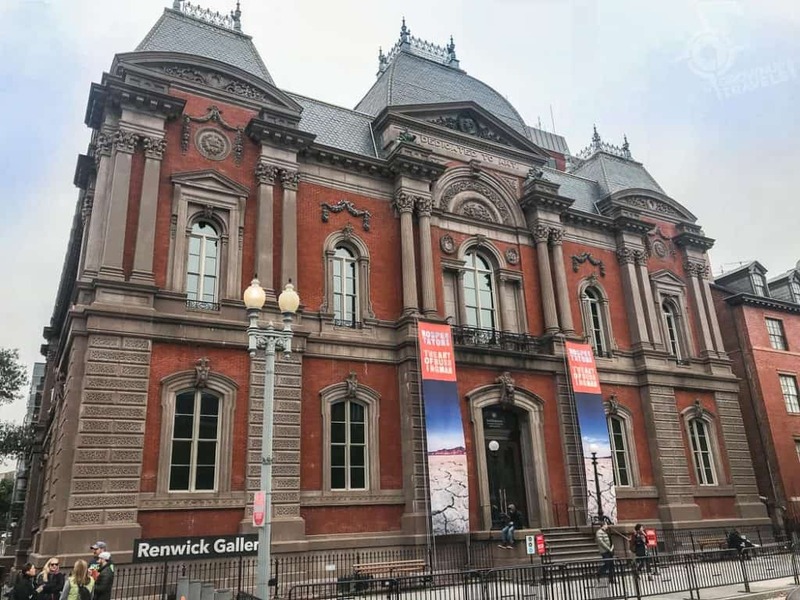 Washington really is a mecca for visitors, American and foreign and what we saw after visiting the Capitol building and their historical dioramas of the city’s evolution is that the place is slowly transforming into a city of museums as well. What a great trip to Washington, I would love to go there after seeing and reading about the great sights. Loved the picture of you and Henk, maybe with virtual reality it may take you back in time, that would be fun. Thanks, Claire. What photo are you speaking of?